Elizabeth is a freelance technology and commercial law solicitor, co-founder of Dublin Legal Hackers and member of the Technology Committee of the Law Society of Ireland. 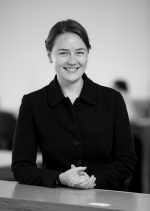 Elizabeth has extensive experience of advising on privacy, regulatory and commercial issues in the technology sector. Overview: To date, the data processor had an easy time of it. The data controller had all the direct obligations to comply with data protection law, most of the responsibility for doing so, and was the ‘hit’ where there was a failure. That is all about to change. This talk will explain how GDPR will affect business for data processors and provide some helpful tips to navigate the new regime. Amanda Roche Kelly,Managing Director, JUST EAT Ireland.